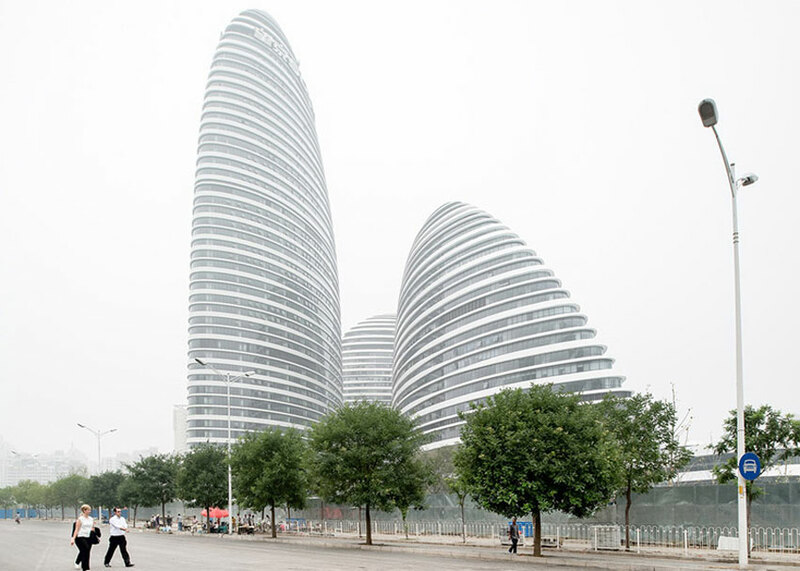 The juxtaposition of the tower’s fluid forms continuously changes when viewed from different directions; appearing as individual buildings in some views, or as a connected ensemble in others. 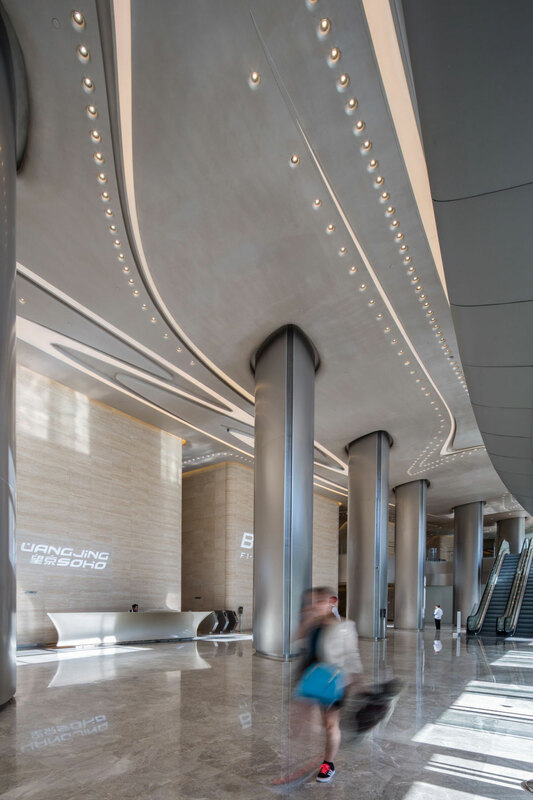 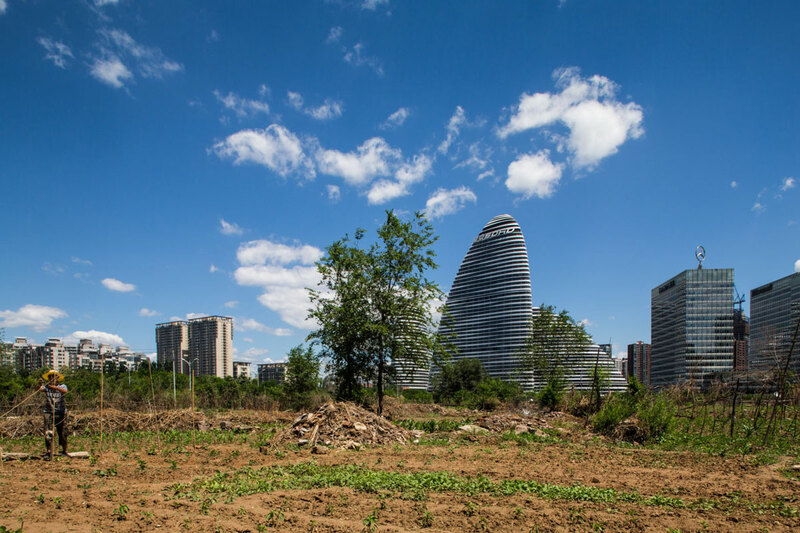 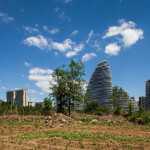 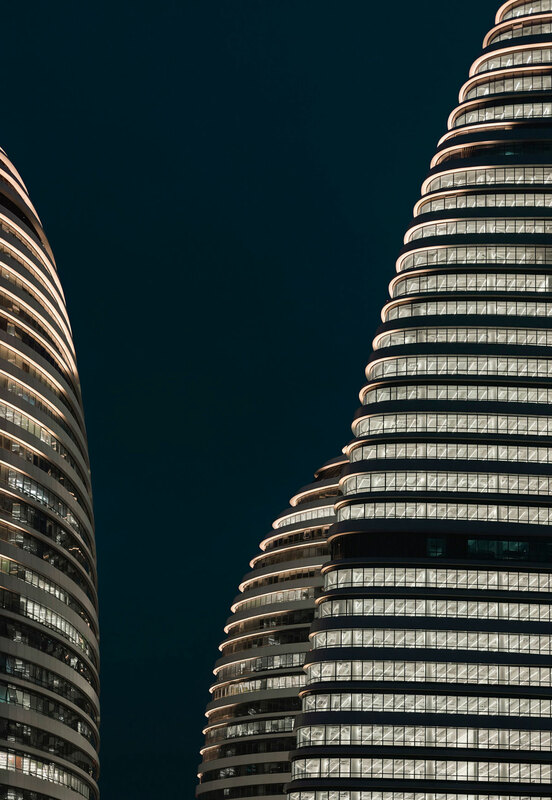 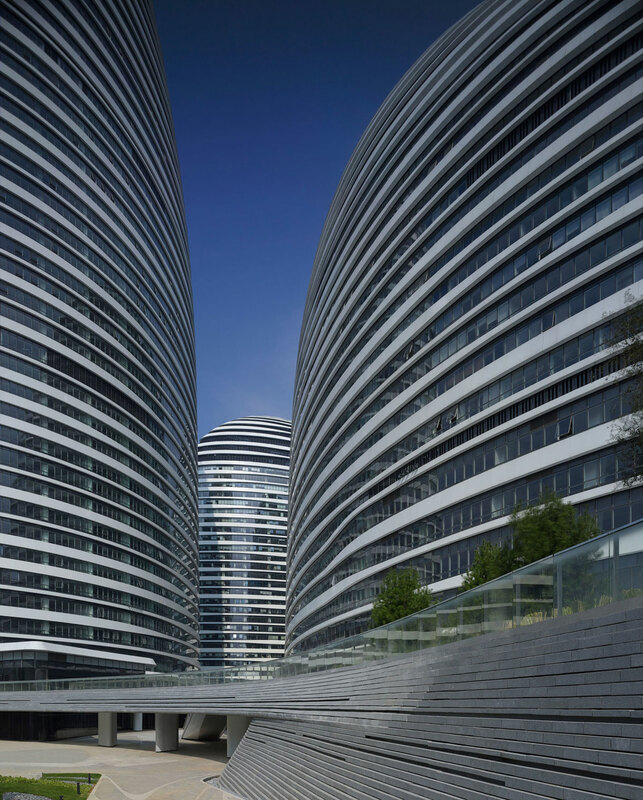 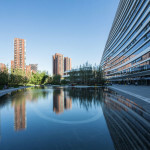 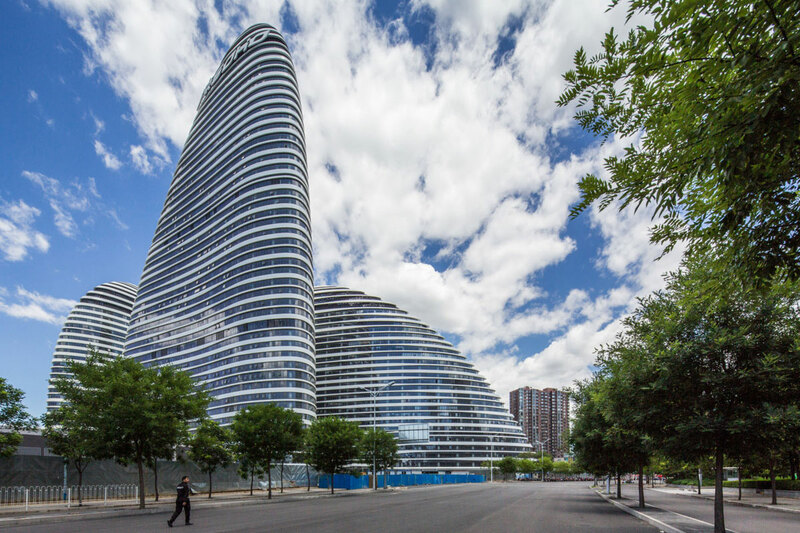 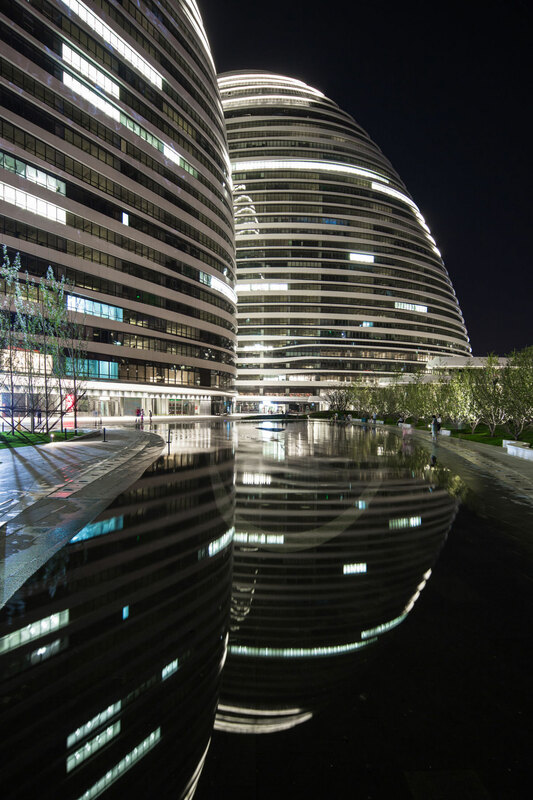 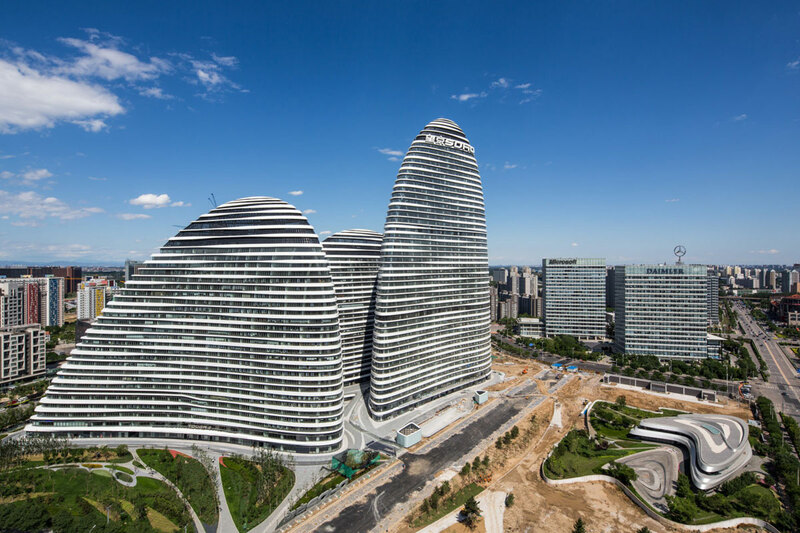 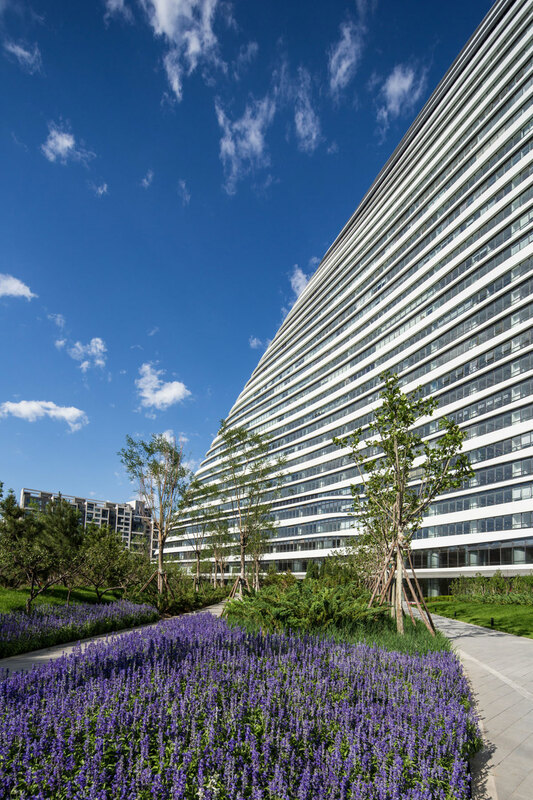 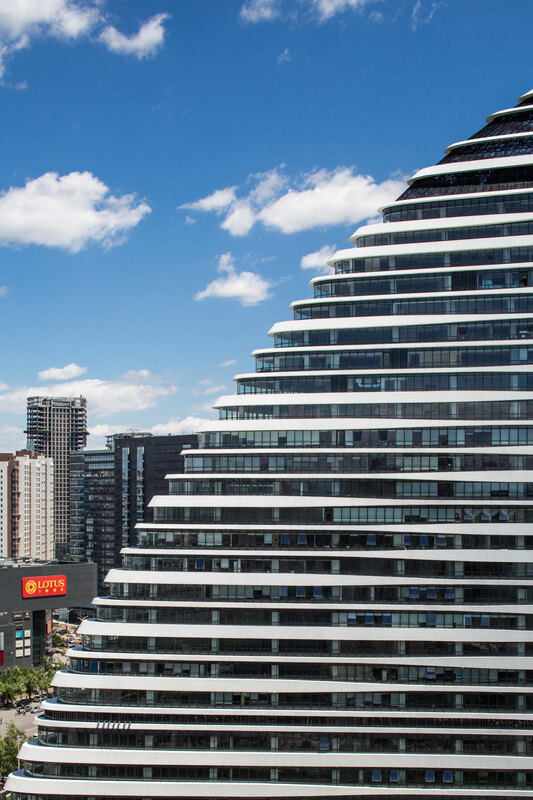 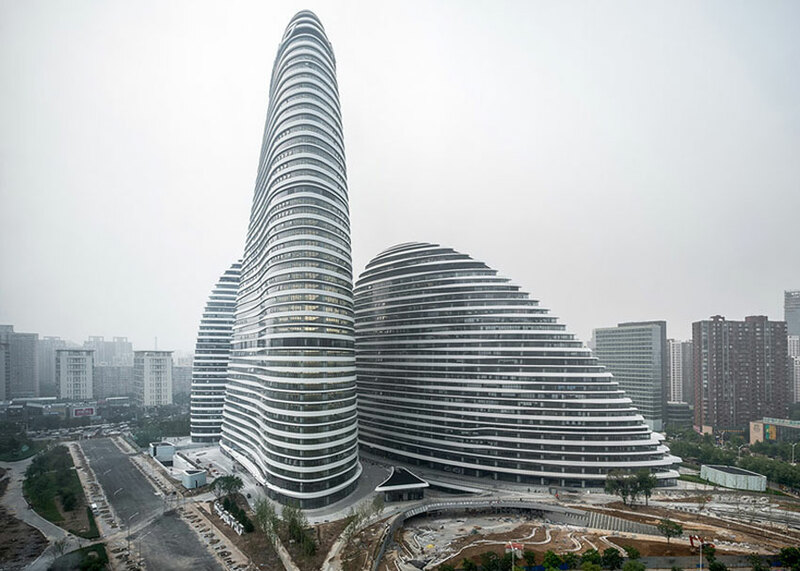 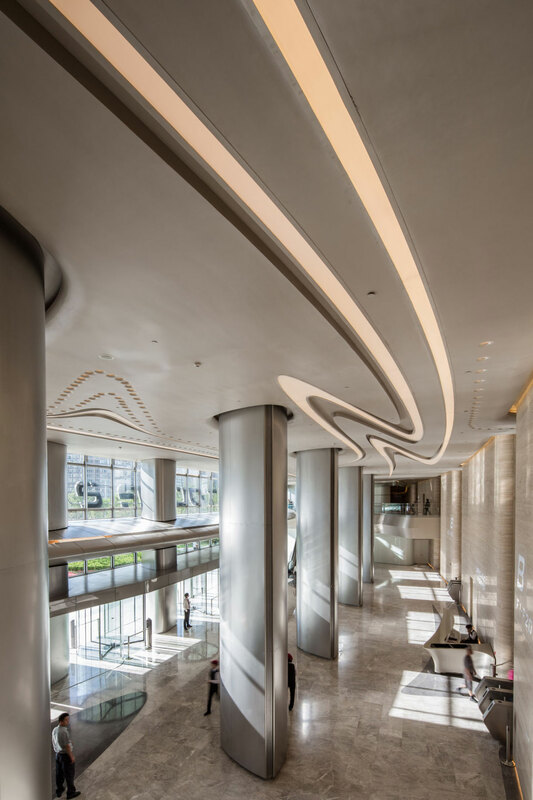 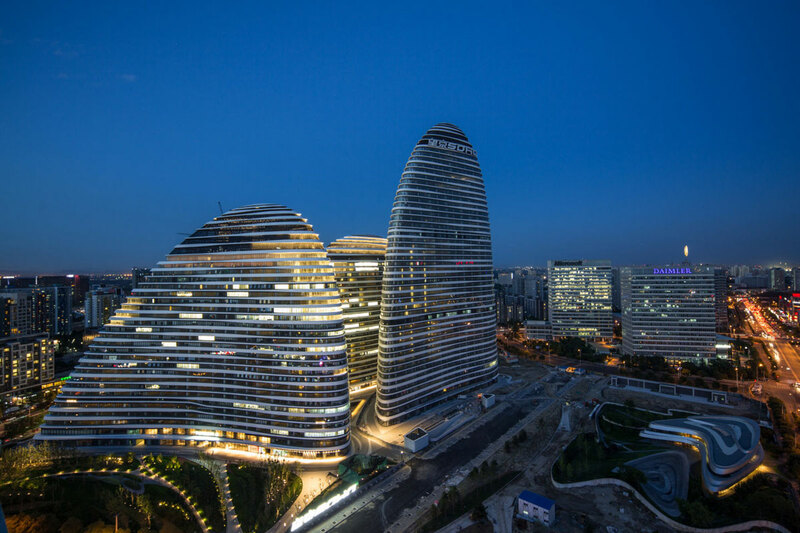 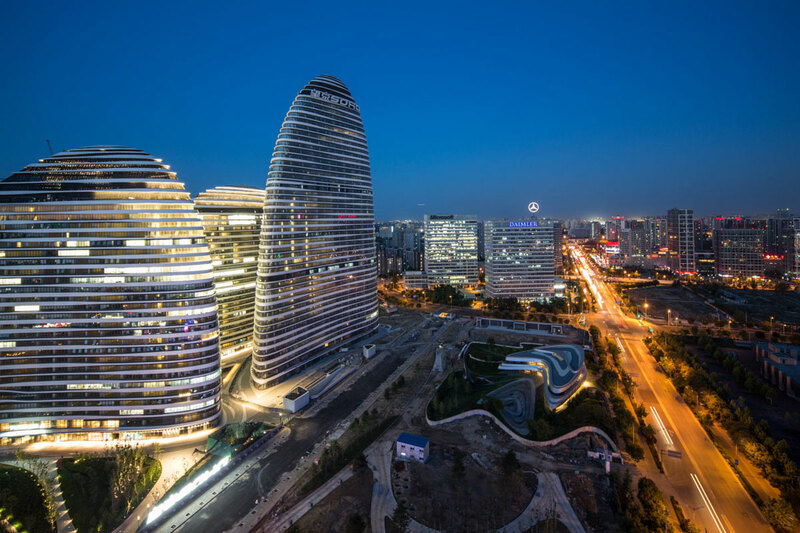 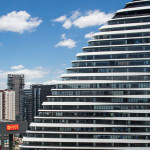 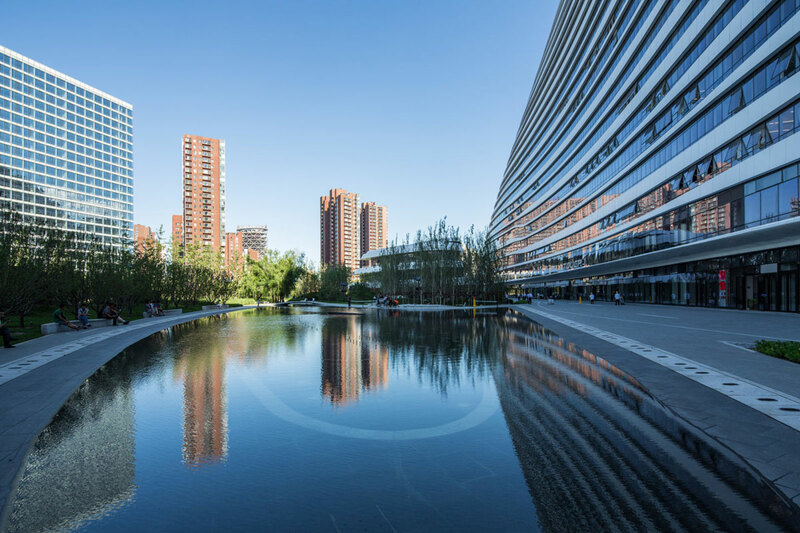 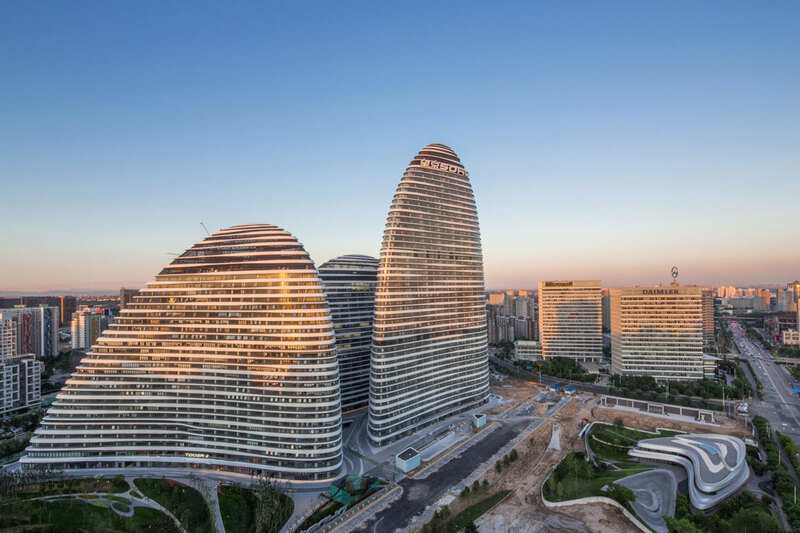 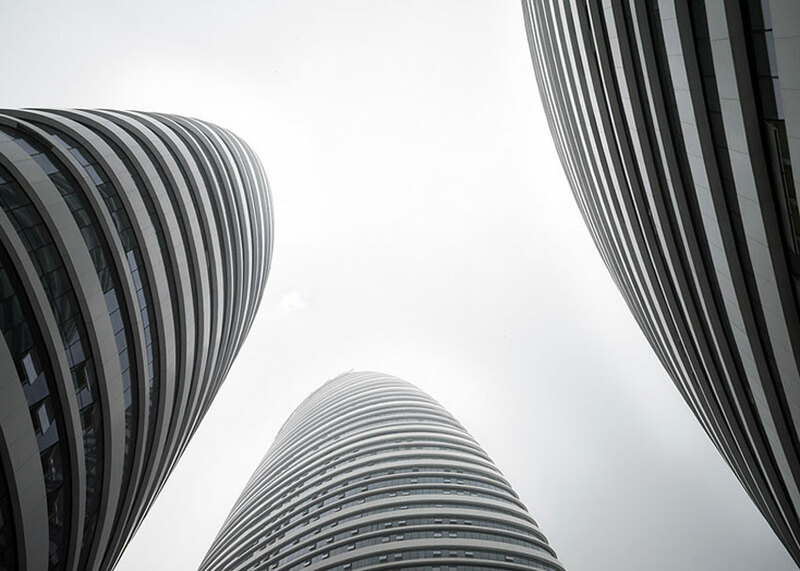 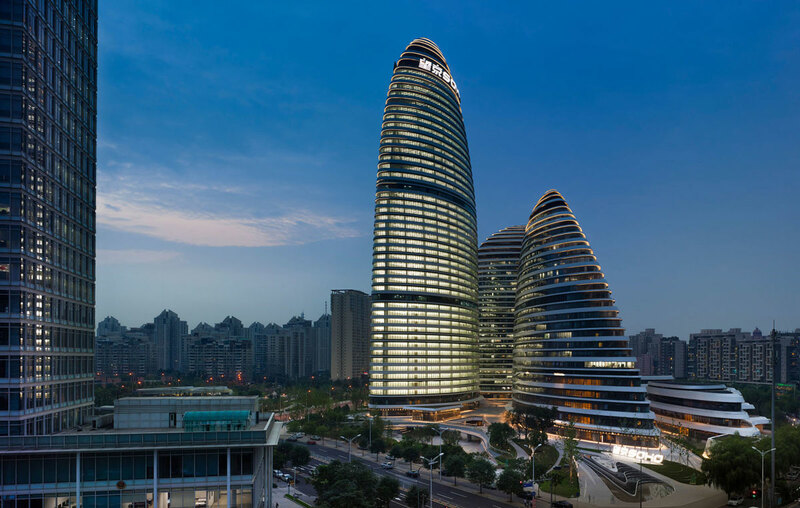 Located in Wangjing’s centre, Wangjing Soho is a mixed-use development consisting of three towers 118, 127, 200 meters in height designed as three interweaving ‘mountains’ that fuse building and landscape to bring together the surrounding community with a new 60,000 m2 public park. 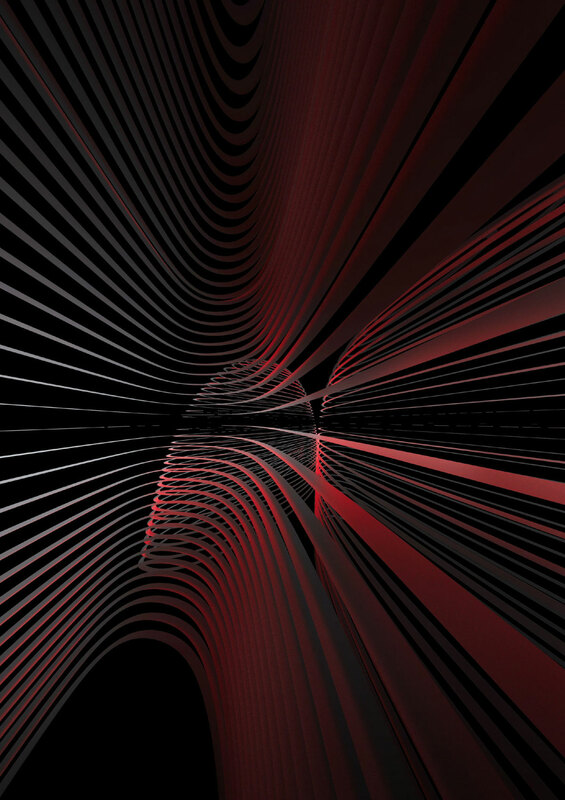 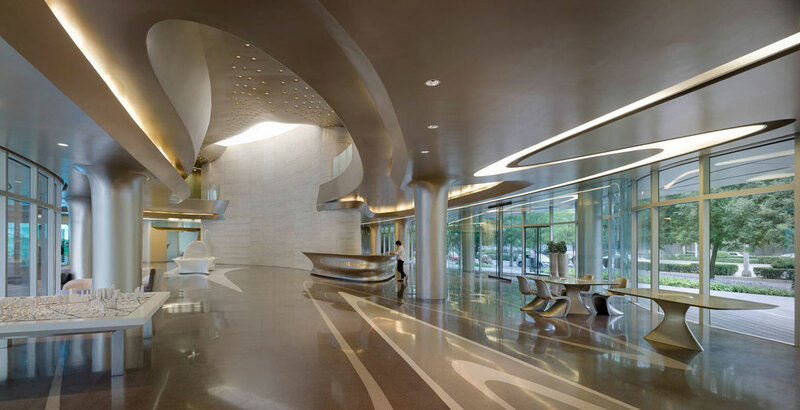 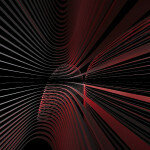 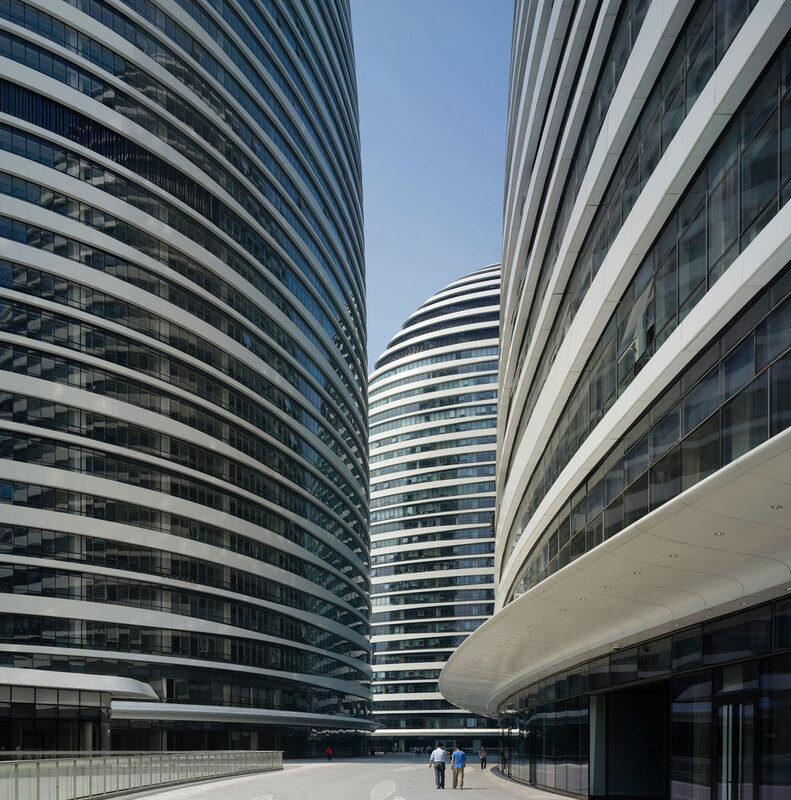 The design responds to the flows of the city and allows natural daylight into each building from all directions. 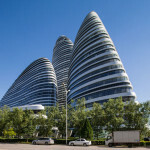 The juxtaposition of the tower’s fluid forms continuously changes when viewed from different directions; appearing as individual buildings in some views, or as a connected ensemble in others. 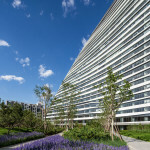 The orientation and composition of the towers has been defined to direct visitors and staff to the various transport links that surround the site . 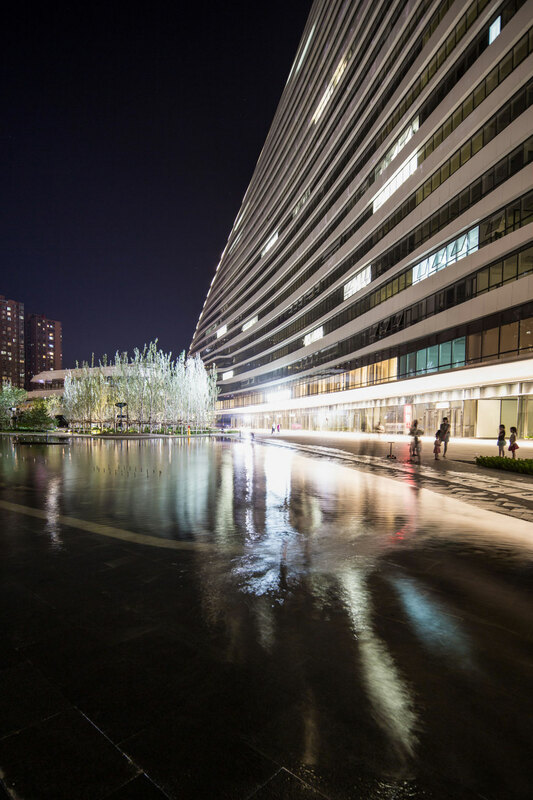 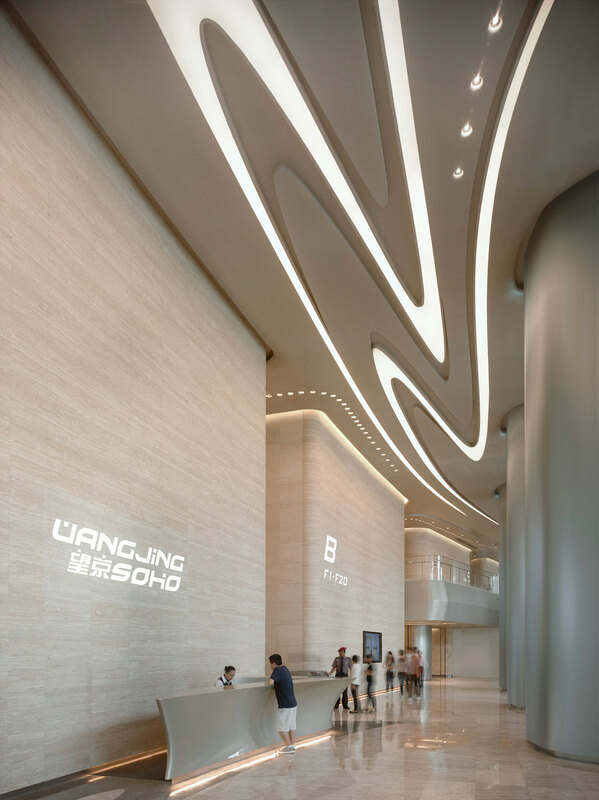 The cohesive design of the project creates an anchor and identity for the growing Wangjing community. 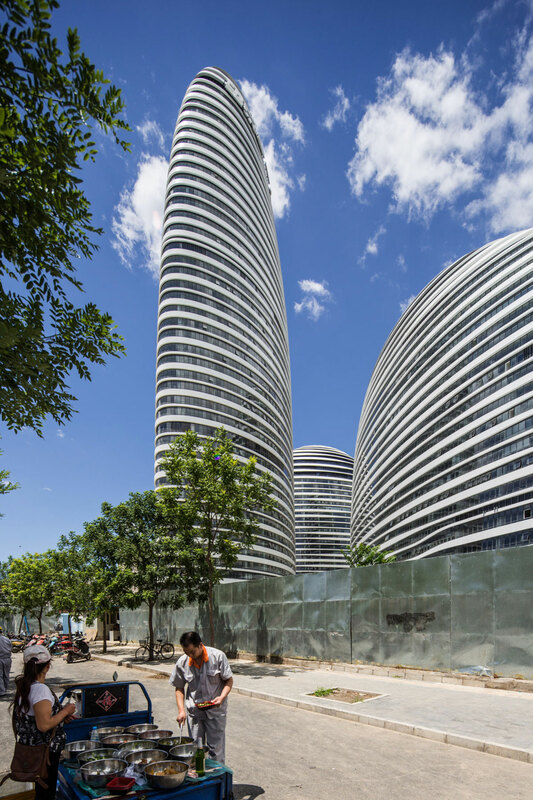 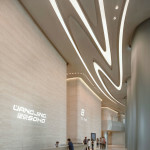 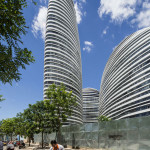 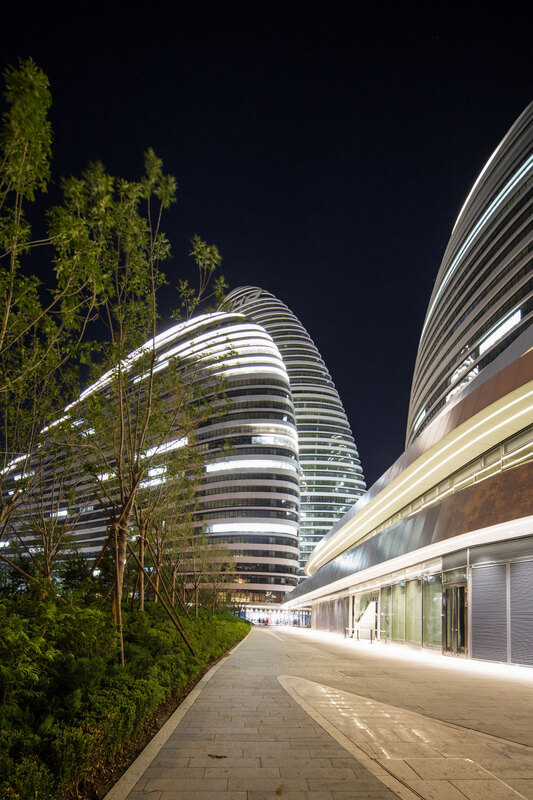 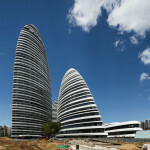 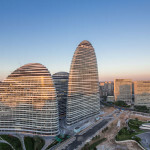 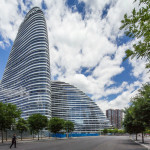 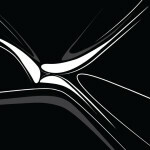 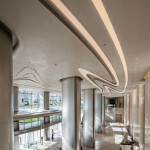 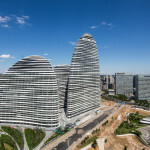 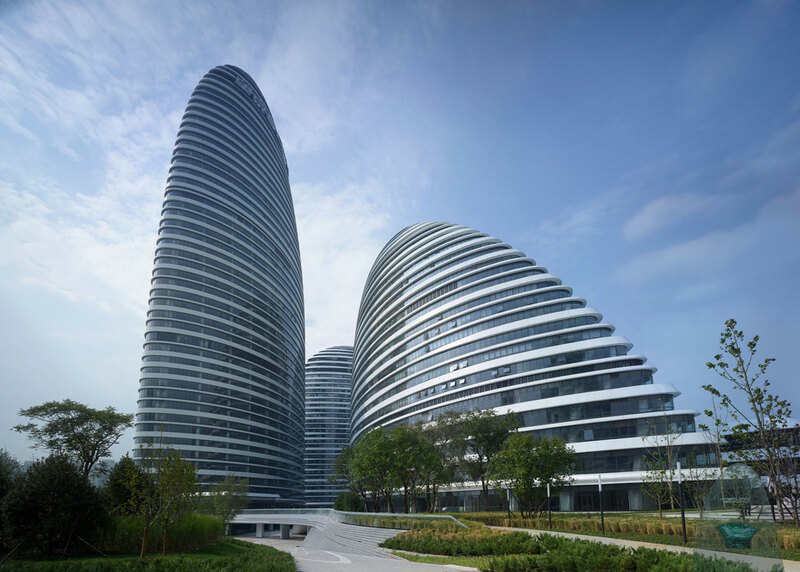 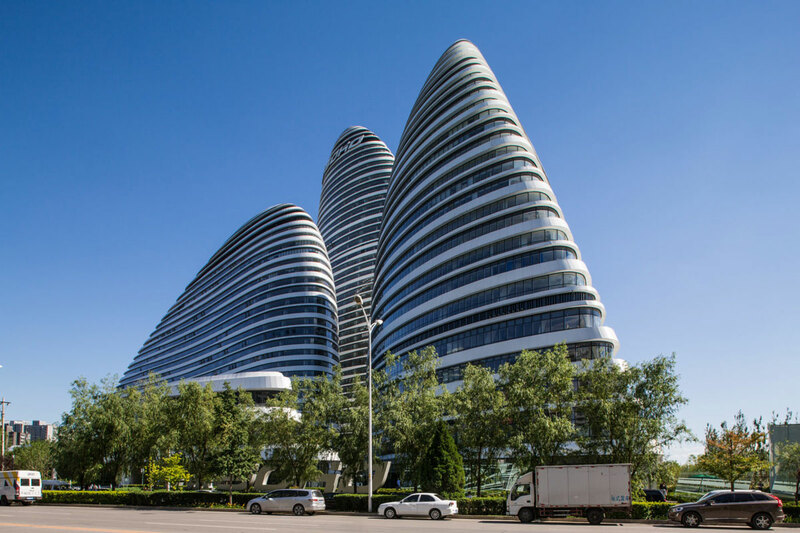 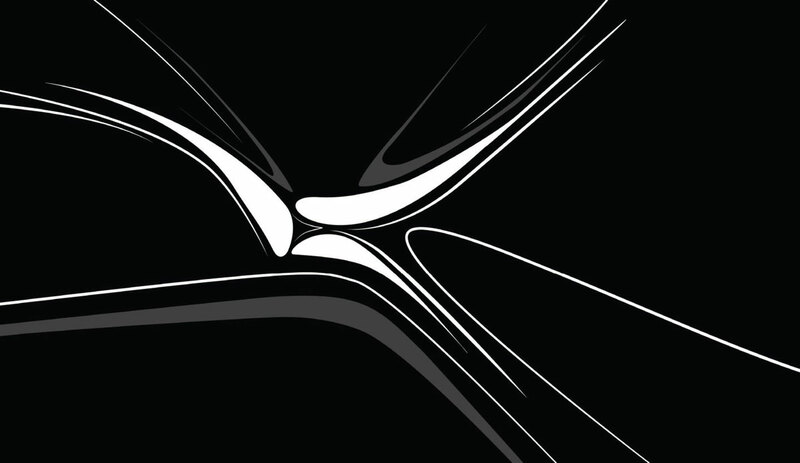 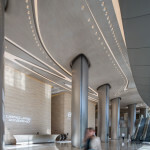 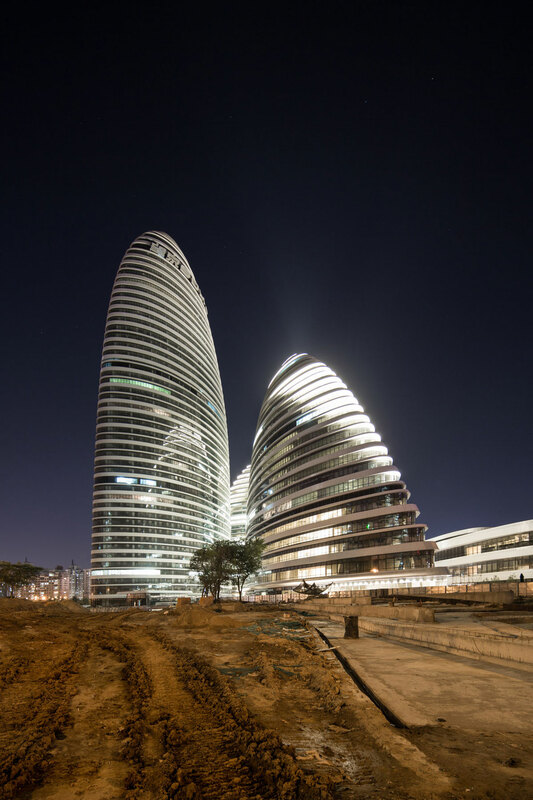 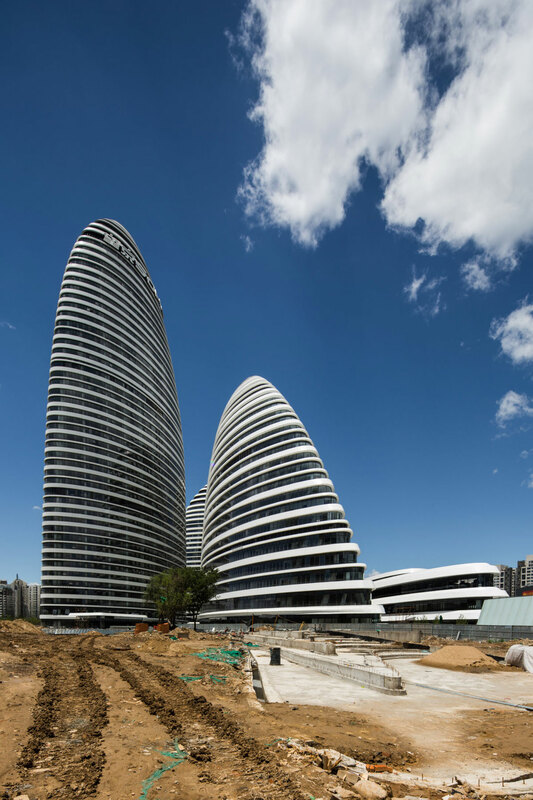 Cite this article: "Wangjing SOHO / Zaha Hadid Architects," in ArchEyes, April 1, 2016, http://archeyes.com/wangjing-soho-zaha-hadid-architects/.